SPRING BREAK IS HERE! In fact, ours started today. We’re staying in town, and that means in addition to feeding those kids for dinner, I’ve got to cover lunches too. Sprinkled through the week like parmesan cheese, I’m going to fit in a few meals out – starting with Famoso Magrath. Kids eat free during Spring break at Famoso Magrath – and lunch just got easier. Kids eat free at Famoso Magrath is available between Monday, March 25th to Thursday, March 28th. 11-4pm. Two free kids meals per companying adult, available for dine in only. I appreciate so much the fact that it’s two free kids meals per paying adult, because most often during the day on spring break, it’s one parent tackling lunch with the kids, am I right? The kids love lunch at Famoso. Staff will often bring out small balls of dough for the kids to stretch and play with while they wait for their food, and the meal is finished up with a scoop of gelato. ALL KIDS SPECIALS COME WITH A KIDS BEVERAGE (POP, ITALIAN SODA, MILK, CHOCOLATE MILK OR JUICE) AND A SCOOP OF GELATO OR SORBETTO. 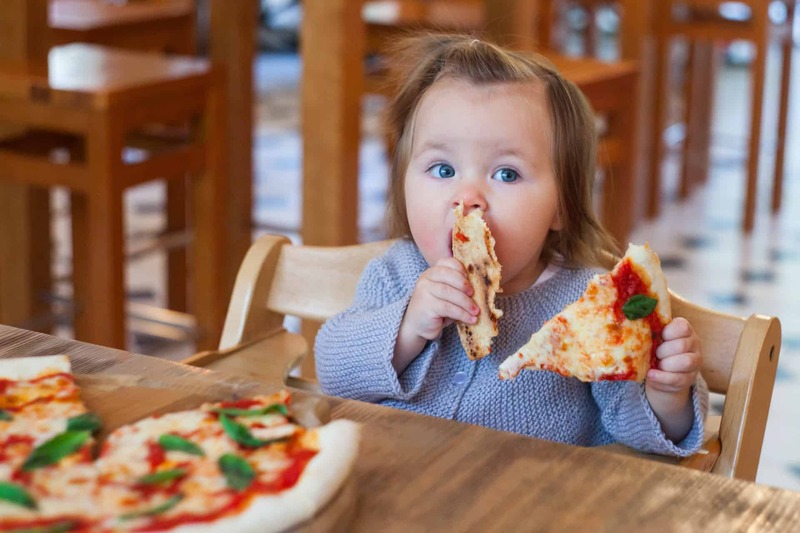 In case you’re wondering what to order, the Rigatoni Bolognese is one of our kids favourites, and the Margherita pizza is a favourite for every toddler I’ve ever known. Find Famoso Magrath at 14123 23 Ave NW in Edmonton.